This year again, we sent a request to the support program of the ‘Volksbank Bochum Witten’. The Volksbank is sponsoring many projects of social clubs in our region every year. All sponsoring requests to the Volksbank will be presented on their webpage and are available for a public voting. For this voting, we need your support to raise our chance to win! 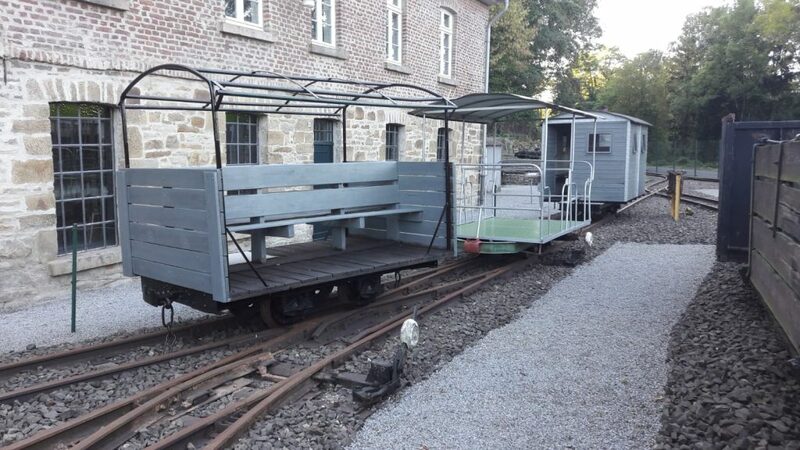 We would like to build up two more wagons for transportation of wheelchairs and baby strollers. Since we can’t do all the necessary work on our own and are also lacking some materials, we will need some money to get it done. Here *VR Foerderprogramm Arge Muttenthalbahn* you can see the complete request (in gerrman only) and the button to vote for us (‘Stimme abgeben’ at the end of that page). Until 31-Jan-2019, you can vote for us every day! Thank you very much and have nice christmas days! The year is nearly over and we had our last opening day for 2018 today. But the events for 2019 are already planned and published on the event page. We wish you all a very nice christmas time and are happy to open our doors already on the 6th of January again. Our santa specials 2018 are coming closer and we started accepting registrations. The rides are starting at 11:00 AM from the parking lot Nachtigallstrasse and will be repeated hourly until 5:00 PM. At a stop in the (hopefully wintry) forest the children will receive a little surprise from Saint Nicholas. Back at the train station, a hot drink will wait for every passenger. Waffles, sausages and lard sandwiches are also available. 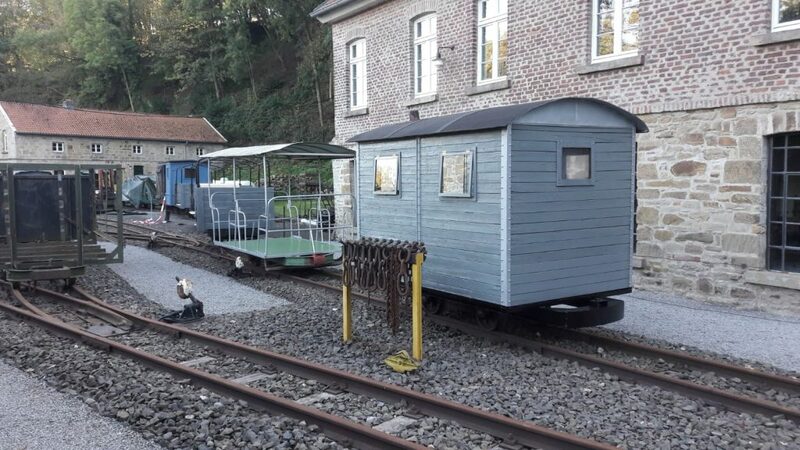 On each train we can take around 20 children for the price of €6.50 each (companions €5.00), so it is necessary to preregister by e-mail (regenbogenweg@arcor.de) with the desired timeslot and the number of passengers (children/companions). We are looking forward to see you there! Again on October 03 it will be the “Door-Opening-Day” of the “Sendung mit der Maus” (children television documentary series). 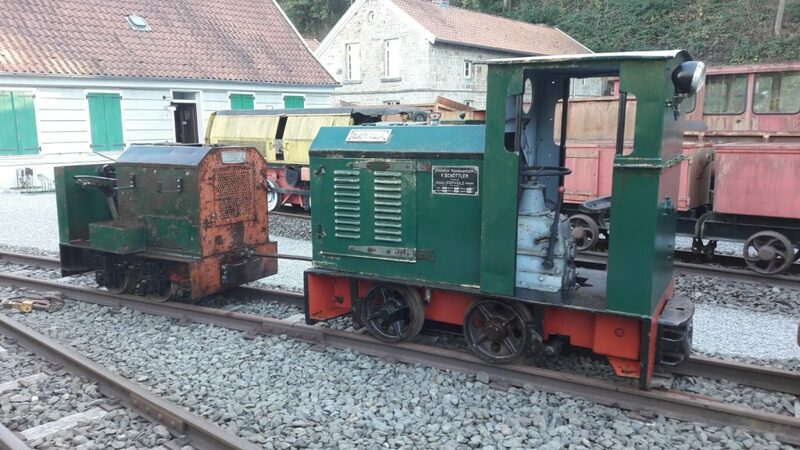 We invite all fans of the “Maus” to have a look on our special vehicles and wagons and of course to have a ride with our narrow gauge train. Additionally, the youth fire department from Bommerholz and their colleagues from Bommern are visiting us, too. They will explain their fire trucks, show a fire fighting exercise and the fearless children (at least 6 years old) can get a look to the area from far above! More information to the “Door-Opening-Day” can be found on (only in german): WDR television or our Facebook page. Finally a short note: the planned lampion rides on 11.11.2018 are cancelled, because of the many other events on this date. We’re looking forward to see you in October (on 7th it’s also open)! 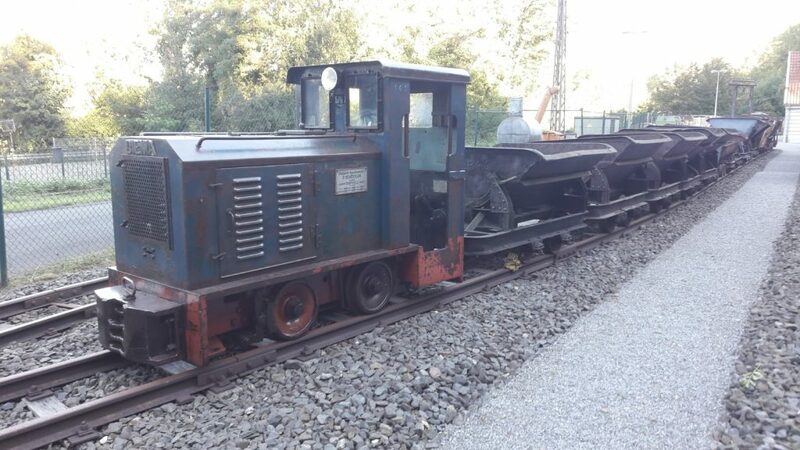 After finishing the closeout work at our “yard of artifacts” last week, an article has been posted in the WAZ (a local german newspaper) telling the background story and explaining some possible future expansions of our museum (a new “hall of artifacts” behind ‘Zeche Nachtigall’ and a connection to the existing railway system). Some days ago at the Muttentalfest, we reached a new record of more than 2650 carried people! Five of our colleagues were steering two trains without any problems during the whole day. All in all a very nice day! We are thankful for the big amount of rides and of course all the donations! 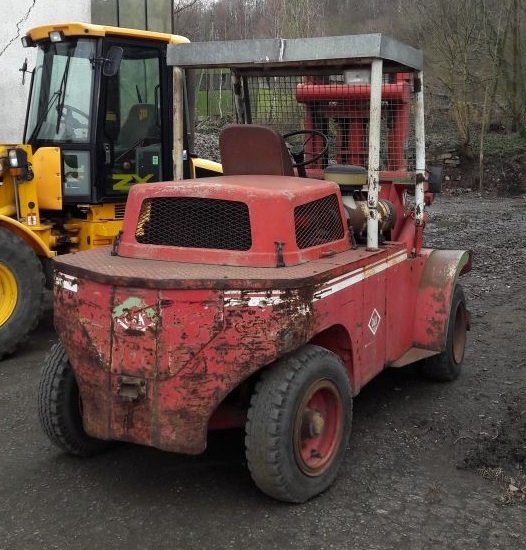 Because of donations by the Wittener Sparkassen- und Bürgerstiftung (foundation) and the furniture shop Ostermann, it was possible to buy a “new-old” forklift truck with a load capacity of around 5 (kilo-)tons. With the new truck, it will be possible to handle the heavy clearance work on the museum’s outside terrain with our own equipment. We are very happy about it and like to thank you all very much! The dates for this year are available online! We’re looking forward to see you. We are very pleased about an extraordinary donation from the NRW Foundation. 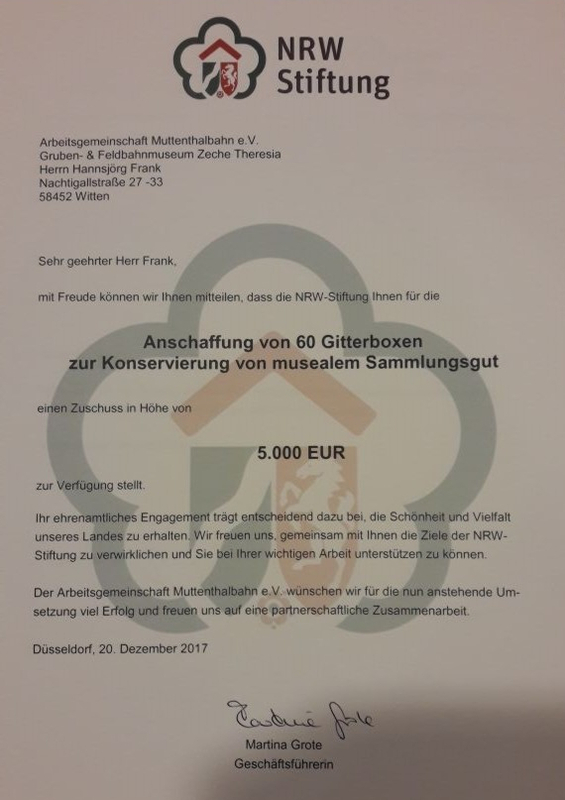 Because our museum is mainly running by donations and membership fees, we need these additional donations to acquire new things and to expand the museum. Many thanks to the NRW Foundation for their support! At this point, we would also like to thank all the other sponsors and helpers for their (partly long-standing) support. No matter if donations of money, donations in kind or working support, without all of you, our museum would not be, what it is today. Thank you! 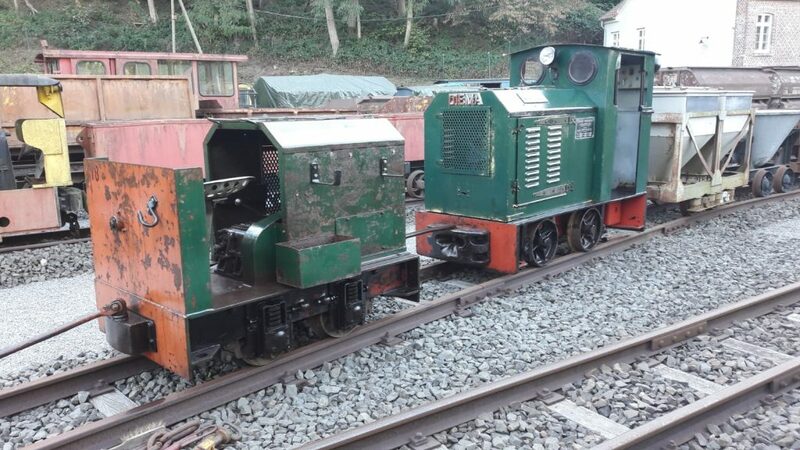 The santa specials are coming closer, but we will have to shift them about one week to the 10th of December. The rides are starting at 11:00 AM and will be repeated hourly as usual, but the train to Santa (in direction of Zeche Nachtigall) will end up in the forest. We can take 20 children on every ride at a cost of 6.50€ each (5€ for companions), the children will receive a little surprise from Saint Nicholas. Back at the train station, one hot drink will wait for every passenger. Waffles, sausages and lard sandwiches are also available. It is necessary to preregister by e-mail (info@muttenthalbahn.de) with the desired timeslot, the amount of children (and companions) and the surname with your adress to assign your tickets. You will receive an email back, if the chosen places are available, please transfer the costs to our (donation) bank account, to make a binding reservation. The tickets won’t be sent to you, but can be picked up at the platform just before starting your ride.